1.) Wash, dry and peel your potatoes. Also shred your onions and potatoes. 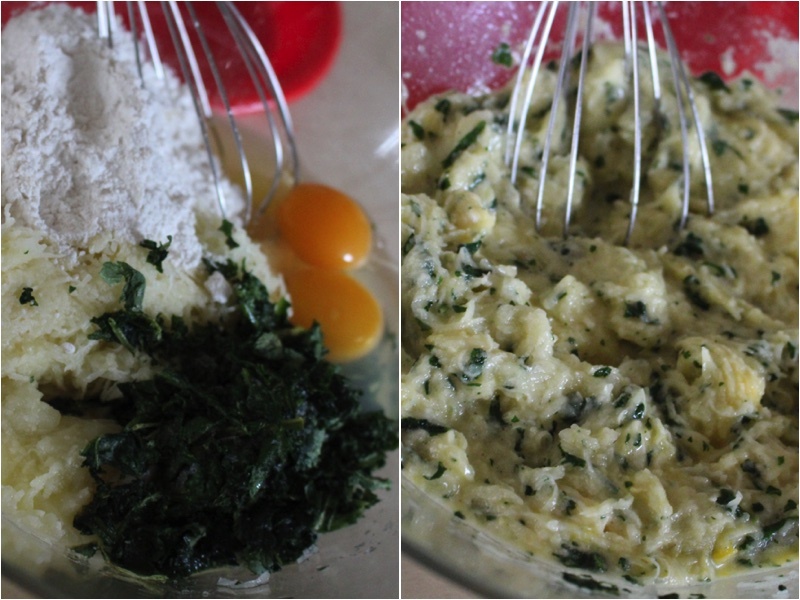 In a large bowl add your eggs, flour, Fine cut spinach and shredded potatoes. Also mix Well. Using a table spoon add portions of your mixture into a hot oiled skilled. Fry for 8 minutes. (4 minutes on each side). Drain your pancakes on a paper towel, Place on a serving dish and enjoy with some sour cream. These pancakes the classic version to a different level. 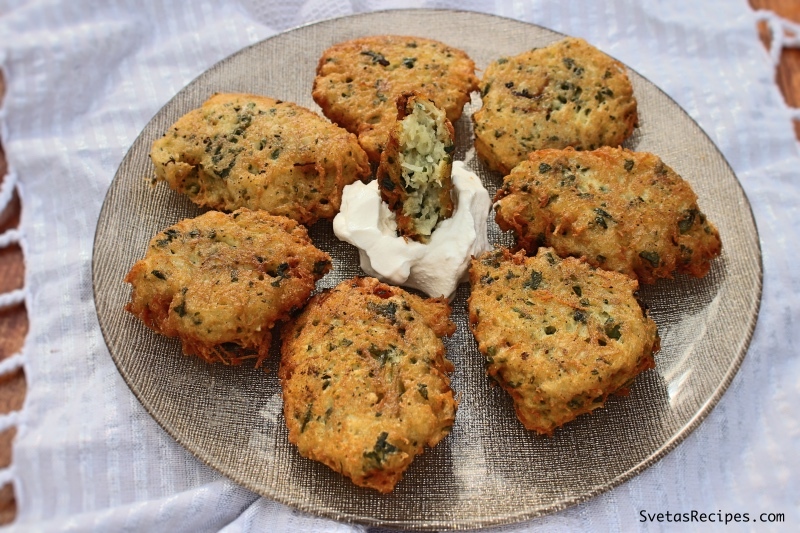 This recipe doesn't require a lot of effort and will differently please your guests. Wash, dry and peel your potatoes. Also shred your onions and potatoes. 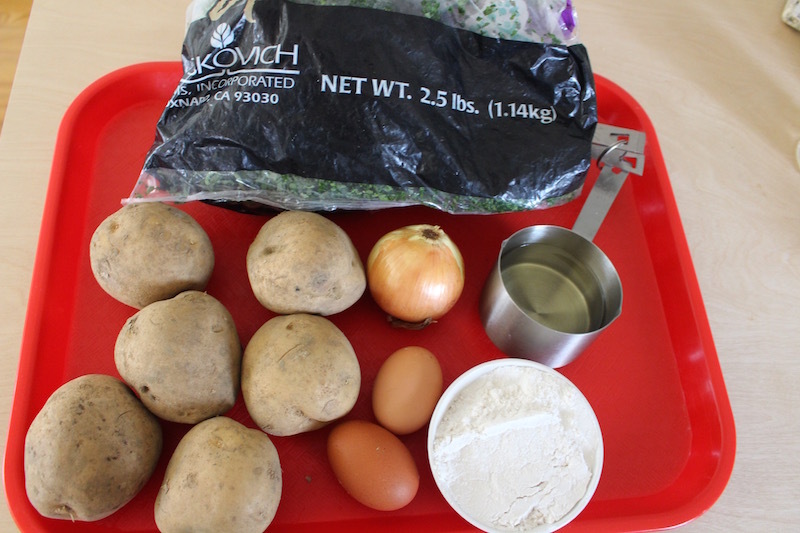 In a large bowl add your eggs, flour, Fine cut spinach and shredded potatoes. Also mix Well. Using a table spoon add portions of your mixture into a hot oiled skilled. Fry for 8 minutes. (4 minutes on each side). 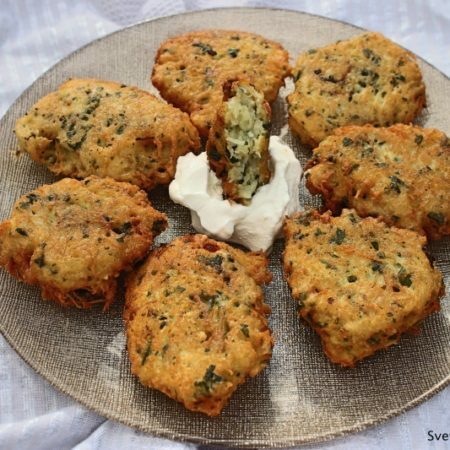 Drain your pancakes on a paper towel, Place on a serving dish and enjoy with some sour cream.